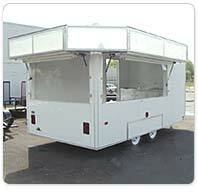 OTS has been building and designing concession trailers for ten years. 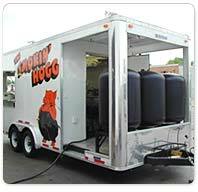 Most dealers order the basic trailer for you and then its up to you to get your equipment installed. NOT AT OTS! We complete the package for you! 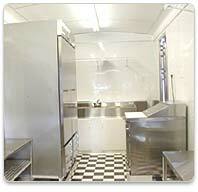 From hoods to propane hook-ups, we do it all. 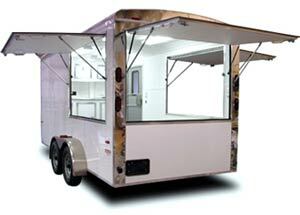 Grills, refrigerators, deep fryers, air conditioners, propane systems, stainless walls, roof top ventilators, interior hoods w/grease filters, fire suppression systems, cabinetry and many other options, we can design your trailer from top to bottom.